Crossing the Nullarbor was not something I was looking forward to, sitting in a car for days on end looking out at the total emptiness of Australia. 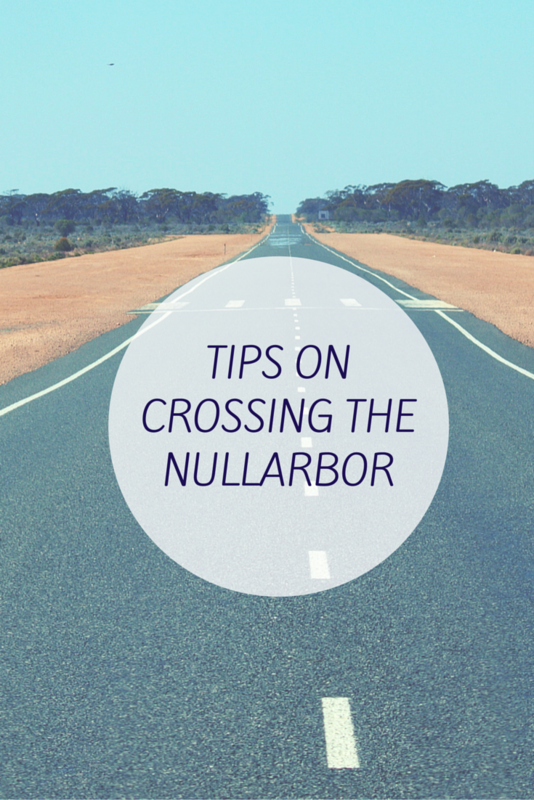 It is affectionately known as Nulla-boring to many Aussies however I was surprised at how much I enjoyed the journey. The Eyre Highway is 2700 kilometres long and crosses the southern edge of the vast Nullarbor Plain linking Western Australia to South Australia. The 90 mile straight is on the highway, 145.6 kilometres of straight road so you want to wind down the windows, turn up the music during this section so there is no chance of you falling asleep! Personally I like belting out a good old Aussie Rock tune and lucky there is no one around to hear my terrible voice, I think my singing made the dingos howl! The drive made me appreciate just how enormous Australia is and I enjoyed the wide open space. I was amazed at how many cyclists we saw on our crossing and I admire their dedication to do a solo crossing. However this is not something I will be adding to my bucket/dream list! 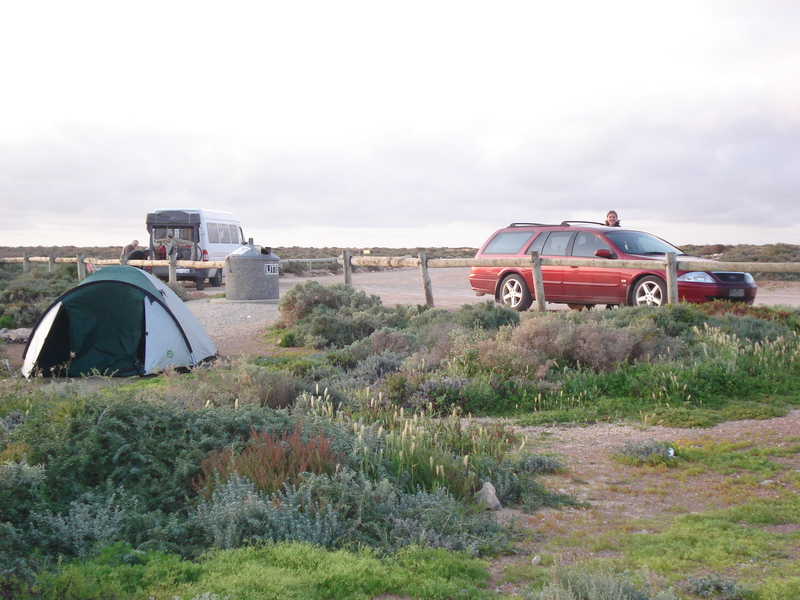 We camped at free camp sites along the way using our Camps Australia Wide book. The book is wonderful if you are travelling as it lists all the free spots and low cost sites in Australia. Using our book we picked out a site but when we arrived there was no one else there so we decided to move on to another spot a bit further down the road. I think I have watched a few too many horror movies and was nervous about camping in the middle of nowhere on our own! 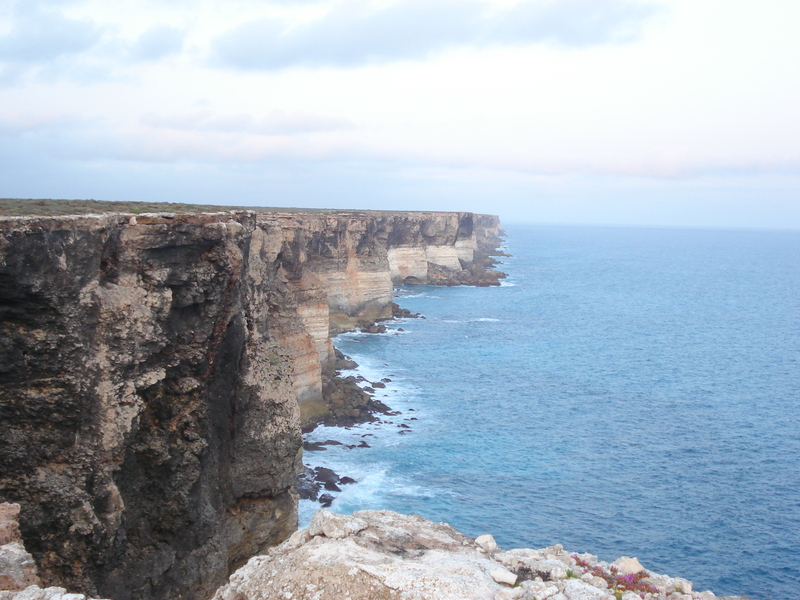 The view of the Great Australian Bight is just breath taking and we could not have picked a better spot to set up our tent. I am not much of a golfer but I don’t mind having a hit every now and again. Nullarbor Links golf course is an 18 hole course which spans 1365 kilometres with one hole in each participating town or roadhouse along the Eyre Highway from Kalgoorlie in Western Australia to Ceduna in South Australia. If we ever cross the Nullarbor again I will give this course a go as it is a much needed activity along the desolate highway. If you are thinking of taking this journey across our country here are a few of my tips. Check that your spare tyre is in good order and you have all the necessary tools. Take plenty of drinking water in case you break down (20-30 litres). Should you breakdown do not leave your car and go for help, wait for assistance. If you feel tired pull over for a rest or if can change drivers. 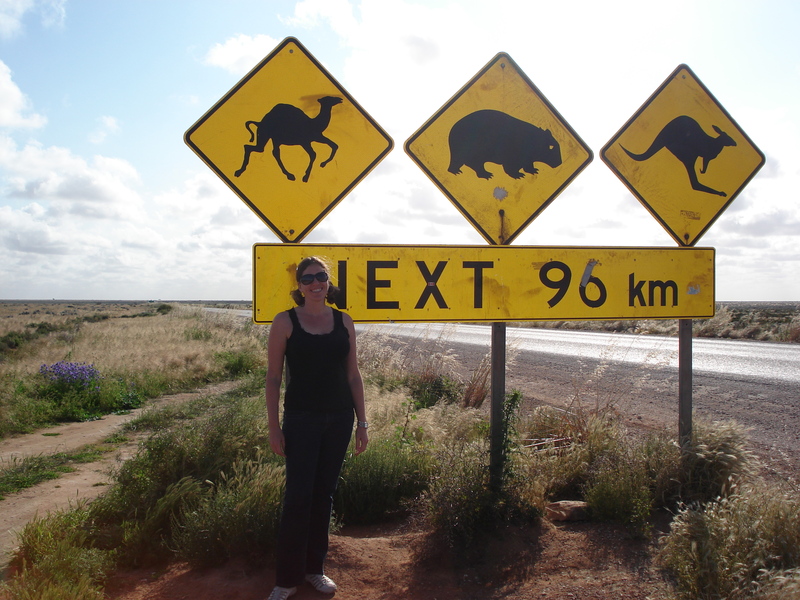 Don’t drive at dusk as there is a much higher chance of hitting a kangaroo. Take note of the signs that tell you how far it is to the next petrol station as you don’t want to be running on empty. It is around 200kms between roadhouses. Fresh produce and plants cannot go across the border. Roadhouses have accommodation otherwise there are plenty of free places to camp. 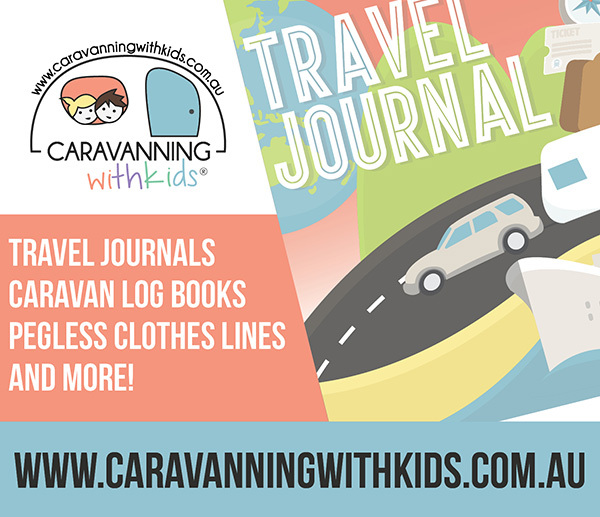 You may want to get your hands on a Camps Australia Wide book to help you plan your journey. Carry some cash in case of an emergency however most establishments should take credit cards. Have a safe trip and enjoy this wide land of Australia. We crossed it twice 4 yrs ago and these are good tips.